Teenage son will buy my 02 crv. Want to buy another crv for me to drive. Should I do used or new? Teenage son will buy my 2002 CRV. Looking for relaible CRV to replace it. Open to used, but have read bad things about 2015-2016 with car vibrating. Looking for info on best model year to buy for used CRV and whether or not the current 2017 CRV has a lot of problems. Also, opinions on buying used cars in general. Are they more trouble and cost more in the long run because of needing repairs/not being reliable? Had bad experiences with used cars I bought 20-30 years ago. Also anyone have advice on buy warranties for newer used cars? I too have read a lot about the 2015/16 CR-V vibration caused by the CVT that I wish they never put in. I doubt it'll be a reliability problem because it's only a vibration and Honda's CVTs have proved to be very reliable for the few years they've been selling them. If you keep your car for a long time, take the 2015. The 2017 has the new turbo in all trims but the LX (bottom of the line). Turbos need to bemeticulously maintained in order for them to last which is why I think you should stick to the 2015 all trims or 2017 LX trim. Of course the 2017 is more fresh and new while the 2015/16 is sort of outdated. The Toyota RAV4 is even more reliable than the CR-V, but the CR-V is more comfortable. I don't see how you can get a 2015/2016 CR-V for $15k, so if you can't get those years than look at a 2013 RAV4. I know someone who just bought a 2014 RAV4 and they like it. 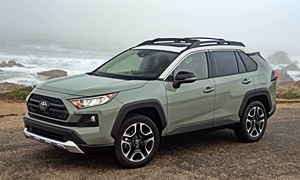 If it were my money between the 2015/16, the 2017 CR-V LX and the 2013 RAV4, I'd go for the 2017 CR-V LX and after that I'd take the 2013 RAV4 because at least you could get an upper trim RAV4 with more bells and whistles. There is a traditional 6 speed auto in the RAV4, better reliability, and no vibration. As for the used cars being less reliable than the new ones, this isn't always true. Good reliability research is needed to be sure. Check this Consumer Reports and TrueDelta for reliability ratings. An example of automakers that have significantly dropped in terms of reliability include Acura, Subaru, and Honda (only a couple cars, not the CR-V). Older cars like a 2002 CR-V compared to a 2017 CR-V, the 2002 will obviously almost always be less reliable because of wear and tear. For the warranties, don't buy them for reliable cars like the CR-V and RAV4. It's a huge waste of money. Save the extended warranties for the Germans, Chryslers, Fords, and GM cars. 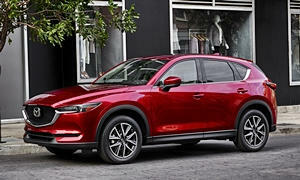 I'm a Honda and Toyota fan, but over all of these cars, I'd take the 2017 Mazda CX-5 (just as reliable, if not more so than the Honda and Toyota), but that's just me. Test drive all of them to see which one fits best. 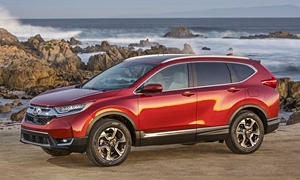 You cannot buy a new CR-V for much less than $22,000 today. 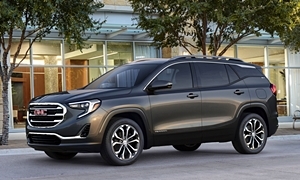 The Rav4 is right behind it at $21,000 on cars.com. 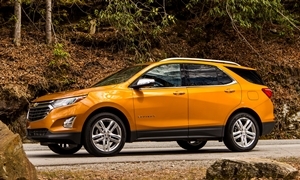 The new Chevrolet Equinox is thousands less at $17,000 from Chevrolet, the most awarded car company, so says their ads. Not that I would recommend first year cars but most car today are relianle. So as LetroFuel mentioned there are plethora of new cuv's to try out today and some much needed tire kicking before making your choice. GM did not recall their cars on time for the ignition recall, which resulted in 124 deaths and, as CNN stated, "18 people suffered serious injuries such as paralysis, amputation, brain injury or significant burns due to the ignition switch problems." Honda on the other hand recalled their Takata airbags on time. Even though the recall was huge, they recalled it on time and it was not Honda's fault. They only sourced their airbags from Takata. It was Takata's fault. The Toyota acceleration recall was another big one but they were honest and recalled their cars. As this article says, the case was a hoax. Toyota has not implemented fail safes that others have in their automotive software. They have experienced millions of recalls just based on software updates. As you know your Toyota's have been recalled a number of times for updates, let alone hardware updates. Owners shouldn't have to pay to be beta testers as they do with Toyota's. 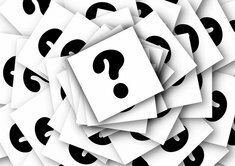 Toyota Unintended Acceleration and the Big Bowl of "Spaghetti" Code | Safety Research & Strategies, Inc.
Toyota Unintended Acceleration and the Big Bowl of "Spaghetti" Code | Safety Research & Strategies, Inc. I still own two cars with that old ignition. I only keep a key or two on the ring along with the remote. No extra weight and a decade of use with no pronlems. Nor do I go off roading, go unbuckled, drive under the influence, or drive at high speeds with passengers who are also unbelted. For a test I pulled downward on the then girlfriend's key chain full of keys, barcodes, and mace at a stoplight after she was saying how u n safe GM ignitions are...her 2012 Forester died at the lighr. End of story.